The choice hasn't been this clear in a long time. Secretary Clinton is a long-time supporter of environmental protections who believes that climate change is “a defining challenge of our time” and has made combating climate change the centerpiece of her environmental platform. On the other hand, Donald Trump says that climate change is a hoax and that we need to burn more coal and fossil fuels, not less. If we are going to leave a livable planet to future generations, we need to elect Hillary Clinton President this fall. 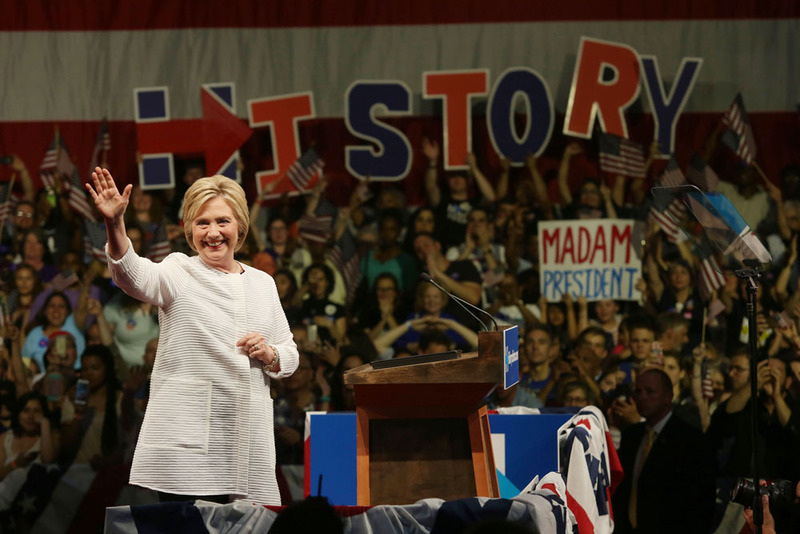 What will Hillary Clinton do as President? Secretary Clinton will make Environmental Justice a central priority, forming a new Environmental and Climate Justice Task Force to “find and fix the next 50 Flints”. She will direct EPA and the Department of Justice to use Title VI of the Civil Rights Act to stop environmental injustices. And she wants to end lead poisoning as a public health risk, ending lead exposure from paint, water pipes and soil. On Energy and Climate, she supports the recent Paris agreement and will work to move the US toward an 80% reduction in greenhouse gases below 2005 levels by 2050. To do this, she wants to install 500 million new solar panels in the US by the end of her first term, a 700% increase in installed solar capacity!! She wants to generate enough renewable energy to power every home in the US within 10 years, and cut energy waste and cut American oil consumption by one-third. Hillary says that the Atlantic Ocean and the Arctic Ocean should be off-limits for oil and gas drilling.She will phase down extraction of fossil fuels from public lands while increasing renewable energy from public lands and off shore wind 10 fold in 10 years.Clinton wants to reduce the damage done by fracking and other forms of oil and gas extraction, and cut methane emissions from oil and gas facilities by 40-45%. And she wants to end tax subsidies for oil and gas companies while extending them for energy efficiency and renewable energy. Clinton will fight efforts to turn our public lands back to private ownership and will set up a trust fund to reduce invest in our national parks. And finally, she wants to increase the federal investment in water conservation and water re-use, and help modernize our drinking water and wastewater systems with a new infusion of federal support. This is one of the best environmental platforms in recent memory and will help move this country forward towards a healthier, cleaner environment. We owe it to our country -- and to future generations -- to make sure that Hillary Clinton is elected President this November. Learn more about why Hillary is THE choice in 2016 and find out why Donald Trump is so wrong. Volunteer to help us elect Hillary today and donate to elect environmental champions here.